Retell, Remix and Rejoice 2016: Adult Category Winners! The results of the Pratham Books Retell, Remix and Rejoice contest 2016, Adult's Category are here! We know you've been waiting for the results for a really long time now and we're so, so sorry for the delay! Now, on to the results. This year we received a whopping 119 entries. 83 of those entries were in the Adult's Category (16 years and above) and we were pleased to see 2 Tamil stories and 2 Marathi Stories in the mix! You can see all the entries to the contest, including the Adult Category here. 'Mr. Moon's New Friends' by Vibha Lohani and 'The Little Pup's Dream' by Rohini Lochan. That’s right, we have two winners! Each will receive a printed copy of their winning story and a hamper of Pratham Books’ latest titles. 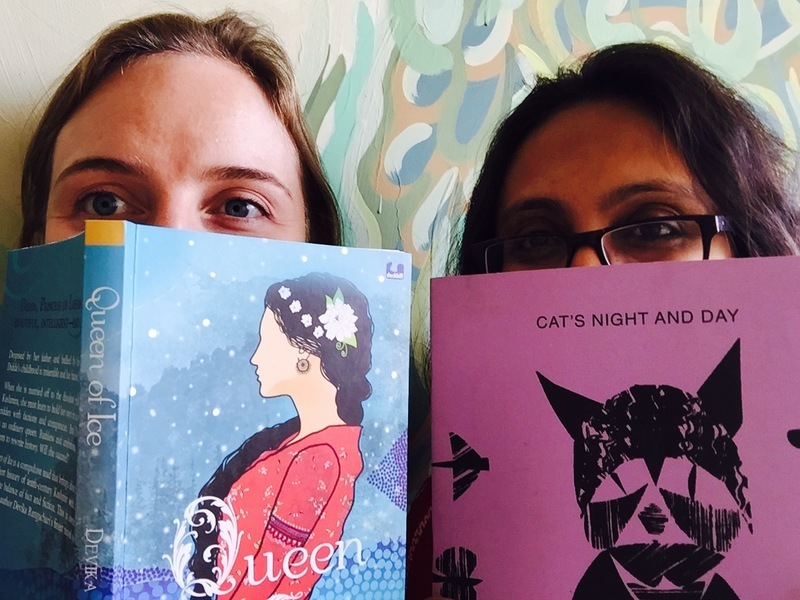 Read on to find out who our judges were and what they had to say about the winning stories. Arefa Tehsin spent her childhood treading the Aravali jungles with her naturalist father. As a child, she was often found trying to catch a snake or spin a yarn. She grew up to be a traveller, storyteller and was appointed the Hon. Wildlife Warden of Udaipur for a term. She is the author of several fiction and non-fiction books including The Elephant Bird. Her latest book is Wild in the Backyard published by Penguin. She writes columns and articles for various national dailies and magazines like The Hindu, Outlook Money, Deccan Herald, TerraGreen etc. A dreamer and rationalist, she is a serial traveller who wants to go on an endless journey starting with planet earth. On Mr. Moon's New Friends: "A good story with strong rhymes in place." On The Little Pup's Dream: "Nice simple couplets bring out the concept and a sweet resolution." On Mr. Moon's New Friends: "The illustrations go very well with this poetic story about Jake who introduces the friendless moon to the creatures of the night." On The Little Pup's Dreams: "A pup looking for an escaped dream and his friends lending it a little bit of their magic to make it better! To know what the perfect dream is about, you'll have to read this rhythmic story right till the end." You can find out who won the children's category over here. A big thank you to our amazing judges for taking the time to read each entry and share their feedback and marking. Also, thanks to everyone who took part in the contest, your stories are now on StoryWeaver to share with friends, family and the entire world!